A couple of months ago, we learned that the scrunchie — a trifling flouncy ruffle of a hair tie popular in the '80s and '90s — had returned. Now the frippery has landed itself in the New York Times. Way back in October 2013, our friends at Gawker lamented the scrunchie's appearance nestled in the locks of royal-adjacent Cressida Bonas. 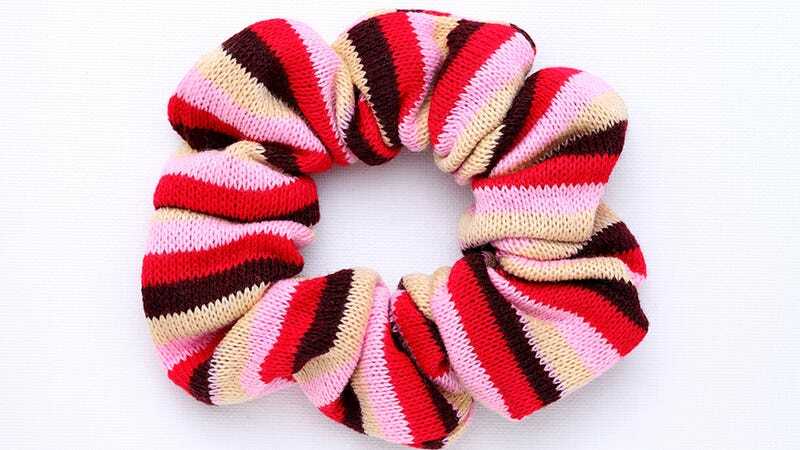 In mid-May, the New York Post deemed the scrunchie "summer's hottest accessory" and informed us that its myriad forms and hues were being celebrated on the account Scrunchies Of Instagram. In late May, Hillary Clinton joked about calling her book The Scrunchie Chronicles. The look has become a bit of an off-duty-model signature, seen on Cara Delevingne and Alice Dellal, as well as on assorted starlets like Rita Ora and Selena Gomez, who are young enough to have missed the trend the first time. Perhaps some Heathers-lovers out there may be excited, but the rest of us are cringing a bit. The scrunchie has a few advantages: It holds hair back, it offers a pop of color, it, um… well that's about it. While Heathers positioned it as a power accessory, it eventually came to feel more superfluous, fussy, juvenile and unsophisticated. Cute and fun? Sure. But not the accoutrement of a sleek, focused woman intent on serious business. Why do you think Hillary Clinton ditched hers? Also, when a scrunchie is in its resting state — on your wrist — it looks like some weird sea creature, devouring your arm. That doesn't happen with a regular ponytail holder. That said: Thanks to Normcore, irony, nostalgia or the current zest for everything '90s, the scrunchie is having a moment. In the Times, Meltzer notes that the $95 Missoni scrunchie — available on Net-a-Porter — is currently sold out. Pretty sure I'm Team Bradshaw on this one.